Consultation on stopping smoking. 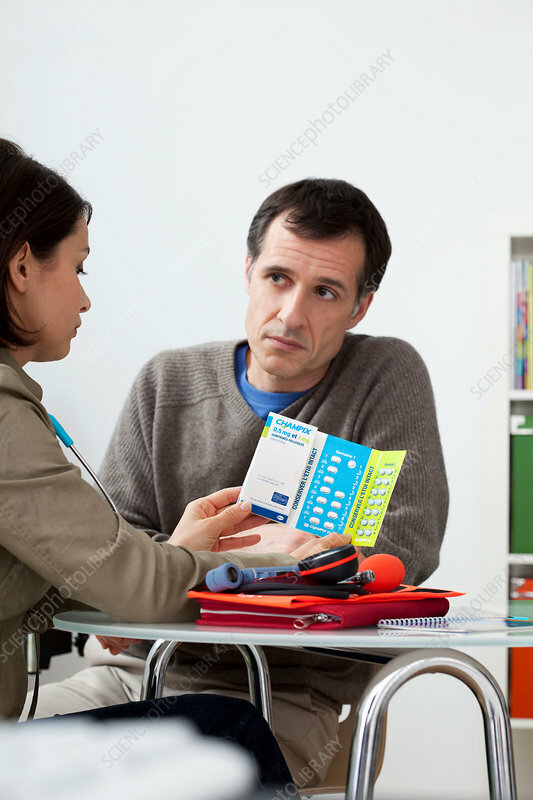 Doctor giving a patient a course of prescription drugs to aid him in giving up smoking. These pills are Champix, the French brand name for varenicline. Champix was approved for use in Europe in 2006.